Want to know the latest with Italianni's? 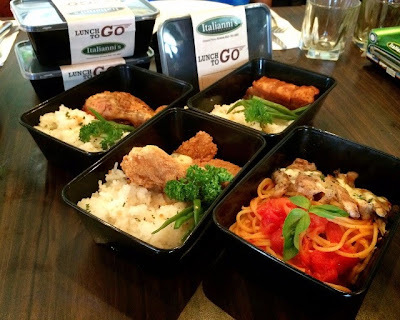 Davao's favorite Italian restaurant, Italianni's has recently introduced Lunch to Go packs. 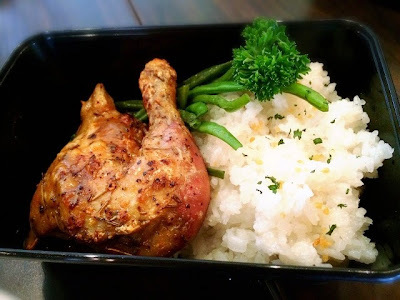 You can choose from four of the scrumptious dishes they have prepared: Spaghetti Pomodoro & Chicken Breast , Herb Roasted Chicken with Rice Parmesan Crusted Fish Fillet with Rice, and Crispy Pork Ribs with Rice. My personal favorites are Spaghetti Pomodoro & Chicken Breast and Crispy Pork Ribs with Rice because I both love pasta and spare ribs. Lunch to Go are perfect for to-go lunches, meetings, get-togethers, field trips, etc for your families, friends or business associates. They are reasonably priced and taste so good as if you just ate them right at Italianni's. As their initial offering, you get 1 FREE Lunch To Go with every 5 packs you order. And for 20 orders or more, don't forget to call them a day ahead. 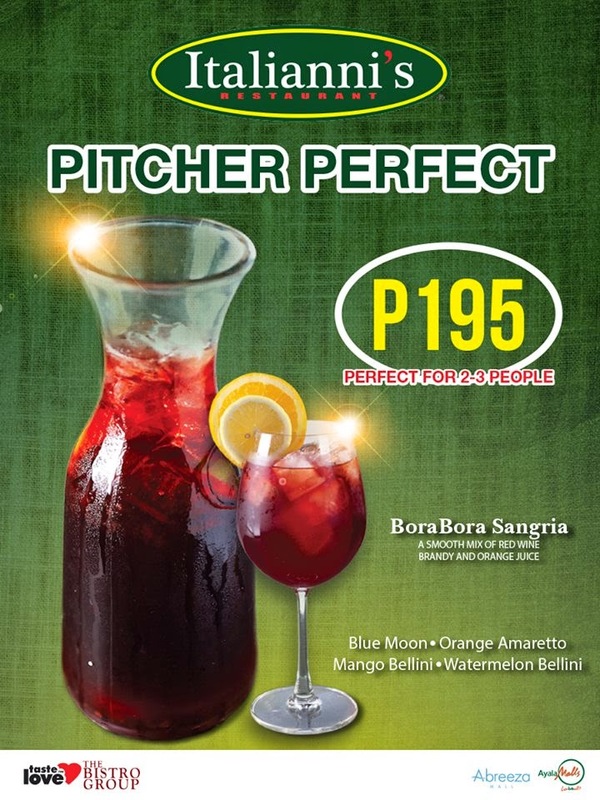 Aside from Lunch to Go, Italianni's also brings Pitcher Perfect, their version of cocktail by the liter for only P 195 which is perfect for 2-3 persons. 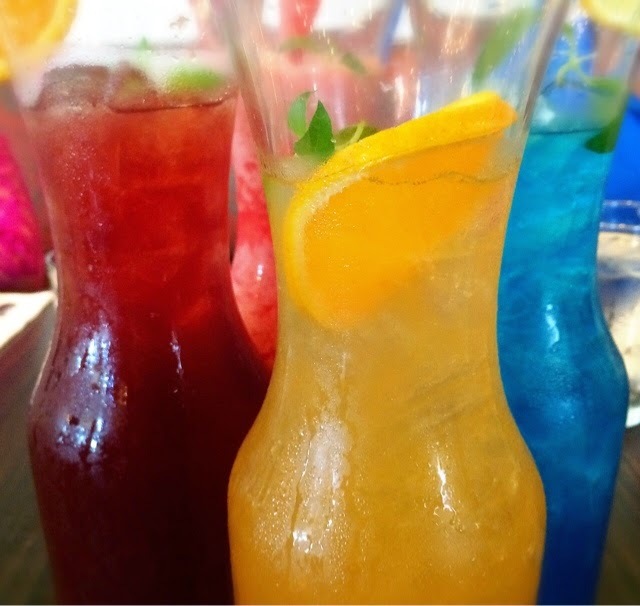 Just pick your choice from these refreshing variants: Borabora Sangria Blue Moon, Orange Amaretto, Mango Bellini, Watermelon Bellini. Since I'm not much of a drinker, I personally like Orange Amaretto because of it's mild taste. Now that's a good news for you and your friends who want to chill after a busy day. Your kids can still enjoy this ongoing promotion!! That's what I miss Philippines, you can basically travel the world through food! I would say this isn't bad at all for the price and the variety of good amount of food in to-go packs it worth a penny. That's a great deal. Plus, two free kids meal! I miss Italianis now. :( I'll sure visit it again when I'm home. 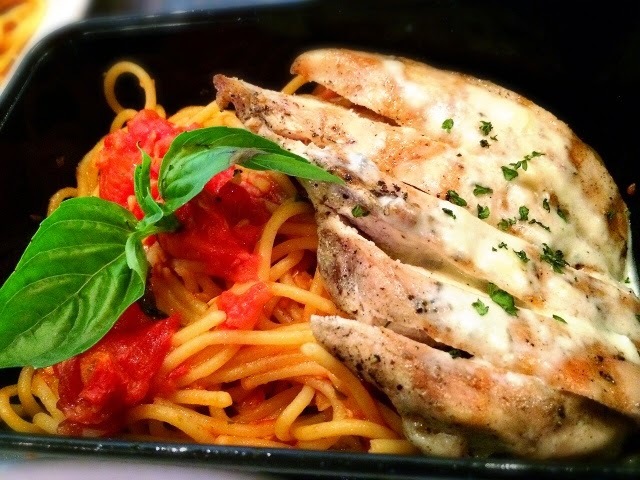 The spaghetti pomodoro and chicken breast looks delicious! 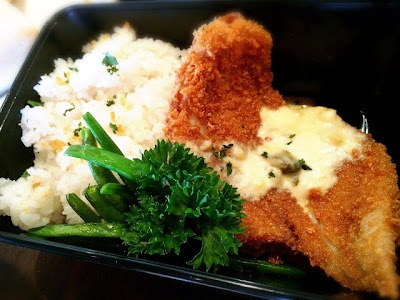 Their food are mouth watering, and the price..Wow! 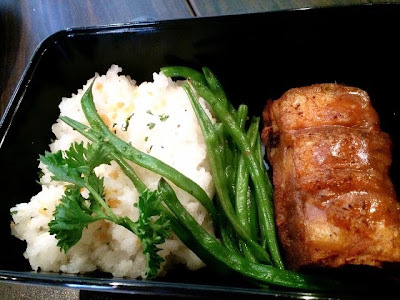 I've never been to a fancy resto in the Philippines but I would love to try this.